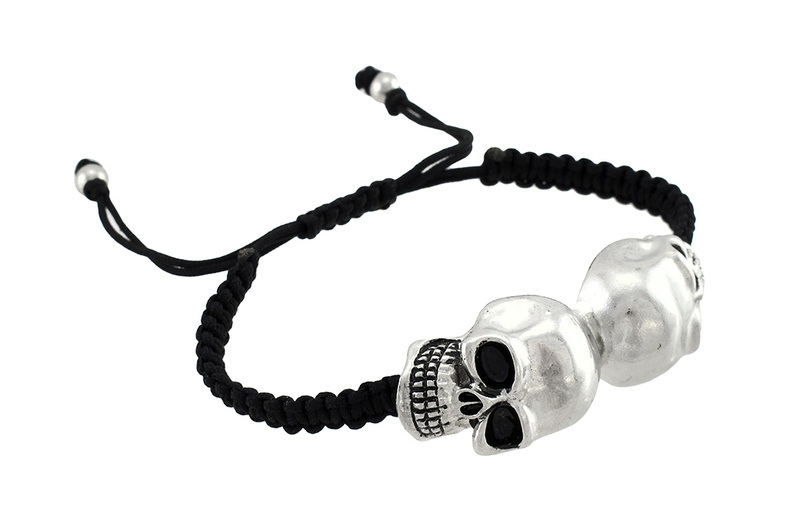 This black cord square knotted bracelet features cool, chrome mirrored skulls and is a great accent to your look. The skulls measure 2 1/8 inches long, 3/4 of an inch wide, and the bracelet is approximately 1/4 of an inch wide. The bracelet is adjustable to fit 4 1/2- 8 inch wrists and looks great with a black shirt and jeans.